April 5, 2019, Department, by Jennifer Meunier and Michael J. Bradley, Ph.D. While pay, benefits and other extrinsic factors remain elements that motivate employees in the workplace, in recent years, intrinsic factors have gained equal footing in the importance of employee engagement. Author Kenneth Thomas, in his “The Four Intrinsic Rewards That Drive Employee Engagement” article, published in the Ivey Business Journal, explains that extrinsic rewards are associated with, but different from, the actual work itself. Employees do not have control over their size or whether they are granted. Whereas, intrinsic rewards are feelings (“psychological rewards”) that employees experience because of successful completion of work they find meaningful. The five ways intrinsic motivation can be used to increase employee engagement in the workplace are creating a safe environment and creating a sense of purpose, trust, belonging and achievement. Various scholarly articles agree that what motivates employees and what work is deemed meaningful will vary based on each individual’s expectations and personality. In order to be a successful manager and leader in today’s workplace, it is important for the manager to create an environment where all employees may flourish. This can be achieved through clearly establishing behavioral and communication expectations of the team, and what the team can expect from the manager. Such an approach will help foster trust and teamwork, help assure employees that they are valued members of the team and create the foundation for individuals and the team to flourish. These actions are not only identified through the theories of physiologists Abraham Maslow (Hierarchy of Needs) and Clayton P. Alderfer (Existence, Relatedness and Growth or ERG), but are also frequently presented as a matter of high importance in employee satisfaction studies. For employees to feel a sense of purpose and be positioned to succeed in contributing to meaningful work, managers must increase employee engagement by clearly communicating goals and objectives. Showing how identified tasks relate to the organization’s overall vision or mission allows employees to experience the intrinsic reward of knowing their efforts directly tie in to the big picture. Making a concerted effort to build rapport with employees provides the manager with an opportunity to learn the myriad ways individuals on the team are motivated. It also helps employees feel valued and build trust with their manager and elicits intrinsic rewards, such as a stronger sense of belonging, job security and overall job satisfaction among employees. Expanding on the rapport built between the manager and individuals on the team, when the manager facilitates interactions among team members, creates opportunities for employees to feel a sense of belonging and social connectedness that some individuals need. Knowing employees’ skills and attributes can help managers to better engage them when faced with mundane or less rewarding tasks by creating a collaborative approach where employees work together to finish a task. This approach may allow for one employee to train others or simply reduce the time each person spends on the task. When the task is complete, the employees may experience a sense of teamwork and belongingness. Throughout team development and when working on projects, it is imperative that managers recognize skills and contributions made by individual employees, as well as by the team. Celebrating a job well done as a group, and specifically recognizing individual contributions and achievements along the way, is essential to create the sense of pride and accomplishment all employees seek. Along these lines, it is important that regular feedback be given to employees, especially in a formal setting. This helps facilitate opportunities for special recognition of accomplishments and to identify any professional development or desired training to help the employee to remain engaged in the workplace. Employees seeking new or more challenges may be well-positioned for a manager to delegate a task or responsibility. The act of delegation builds trust and enhances the employee’s engagement in the workplace through the sense of pride that comes from the trust and the opportunity to demonstrate knowledge and/or to learn new skills. These are but a few examples of how managers can use intrinsic motivation to engage employees in the workplace. 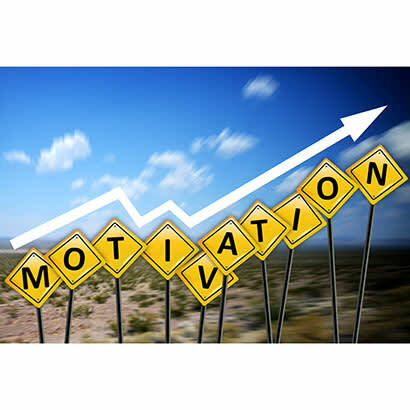 Considering the numerous theories of motivation, the opportunity for managers to use intrinsic motivation factors is nearly endless. It is more a matter of managers being actively engaged with their team and keeping abreast of changing demands in the work environment. Being cognizant of environmental shifts and possessing a perceptive and adaptable leadership style will aid with perpetuating a culture that creates an engaged and motivated team. Jennifer Meunier is an Undergraduate Student in the Department of Recreation and Park Administration at Eastern Kentucky University (@jenminyer). Michael J. Bradley, Ph.D., is an Associate Professor in the Department of Recreation and Park Administration at Eastern Kentucky University (@mikeisoutside). Arnold, M., Glover, R., Beeler, C. (2012). Human Resource Management in Recreation, Sport, and Leisure Services. Urbana, IL: Venture Publishing, Inc.
Thomas, K. (November/December 2009). The Four Intrinsic Rewards That Drive Employee Engagement. Ivey Business Journal.